Money, time and even the hearing details themselves were squabbled over yesterday in a House Communications Subcommittee hearing. Up for discussion, were 25 bills to facilitate broadband deployment, especially to rural areas. Democrats like Pennsylvania’s Mike Doyle said it was too much. “We’re simply not giving these bills the time and expertise,” they deserve, he said. Doyle suggested it would be more prudent to hold a series of hearings and also add representatives of relevant government agencies. The wireless industry and FCC Chairman Ajit Pai on Monday panned the possibility of the U.S. government building its own 5G network. Axios reported a senior official on the National Security Council floated the idea of the federal government building one, secure, centralized 5G network to guard against China, “the dominant malicious actor in the Information Domain,” states the document. The concept is the government would reportedly rent access to wireless carriers. If so, it would be an unprecedented nationalization of a historically private infrastructure. Farmers need broadband connectivity to more precisely water crops and use drones to monitor fields. Just like automakers are developing autonomous vehicles, so too, are manufacturers of tractors and other farm equipment, to help farmers work more efficiently. Studies estimate that precision agriculture technologies could reduce operation costs by up to 25 dollars per acre and increase farm yields by up to 70 percent by 2050. How to reduce excessive permitting fees for siting broadband infrastructure continued to be a large topic for debate on the FCC Broadband Deployment Advisory Committee (BDAC) for a second day on Wednesday. Tensions are evident between municipal members and those who represent wireless companies. Those who work for companies deploying broadband want what they consider excessive siting fees reduced, but those representing local governments say language in various model codes being worked on do not specify how to compensate if those fees are lowered. Don’t expect Verizon to dramatically increase its capital expenditures this year based on the benefits from the tax reform legislation. Verizon previously signaled its 2018 capex would likely be consistent with the past several years. It’s pegged at about $17 billion. Company Chairman and CEO Lowell McAdam told analysts on the Q4 2017 earnings call Tuesday, “Verizon has long supported corporate tax reform. We’re very pleased to see this legislation passed.” Tax-reform legislation will have a positive impact on cash flow from operations in 2018, of approximately $3.5 billion to $4 billion. UPDATE The National Association of Tower Erectors (NATE) strongly supports the FCC’s plan to exclude so-called Twilight Towers from routine historic preservation review. 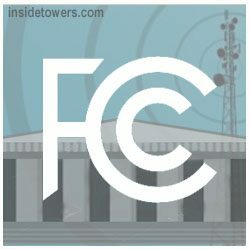 The FCC proposed such a change in December, Inside Towers reported, to make more towers available for wireless deployment like broadband, including FirstNet and 5G. In comments filed with the FCC late last week, NATE said: “For too long, the regulatory status of twilight towers has placed the industry in limbo and an affirmative vote by FCC Commissioners to exclude co-locations on these structures from routine historic preservation review is common sense policy.” Some 4,000 towers built between 2001 to 2005 couldn’t accept co-location because either they were built without historic preservation review or don’t have documentation that such a review occurred. T-Mobile has expanded coverage and increased network speeds in the Twin Cities in preparation for customers’ needs during Super Bowl LII, when over one million people are expected to pack the U.S. Bank Stadium and surrounding area. This network enhancement has been two years in the making, with the end result increasing LTE capacity up to 35x in the Twin Cities area, according to the carrier. The Trump administration is finalizing its long-awaited infrastructure plan; he may preview it in his January 30 State of the Union address but details would come later, according to sources familiar with the proposal, Reuters reported. A group of U.S. Senators are urging the President to include funding for broadband deployment in the package. Shelley Moore Capito (R-WV), Angus King (I-ME), Amy Klobuchar (D-MN), Heidi Heitkamp (D-ND) and John Boozman (R-AR) spelled out the importance of high-speed internet access for rural areas in a letter to the White House this week. Pole attachments for small cell wireless infrastructure just got easier. The FCC’s rule change to exempt some poles from historic preservation review took effect yesterday, January 16. Federal Register publication triggered the effective date. Specifically, the telecom provider is exempt from the review when a pole is replaced with a substantially identical pole, the original pole is not historic and the replacement does not disturb new ground. The replacement must be consistent with other size, location, and appearance restrictions. The changes also take into account when a wooden pole is replaced with metal. UPDATE Hawaii now has a way to notify the public that an alert was sent in error. There was no protocol in place to take back an alert at the Hawaii Emergency Management Agency (HEMA) on Saturday, reported The Washington Post. That’s when a state employee mistakenly chose the real, live “missile alert” alert option from a drop-down menu for what was supposed to be an internal test. An actual cell phone text was sent as a Wireless Emergency Alert and transmitted over TV, radio and cable over the Emergency Alert System. The message told the public a missile threat to the state was imminent and to seek shelter, causing panic. The message told the public a missile threat to the state was imminent and to seek shelter, causing panic. A false alarm from U.S. Pacific Command claiming a ballistic missile was headed to Hawaii prompted an immediate response from the FCC Saturday. Commissioner Brendan Carr said the FCC would fully investigate why the initial message was sent and was left uncorrected for nearly forty minutes creating a panic among residents of Hawaii. “The FCC has begun a full investigation into the FALSE missile alert in Hawaii,” Carr said. A similar tweeted message came from FCC chief of staff Matthew Berry. FCC Chairman Ajit Pai continues his aggressive voting schedule into the New Year. No less than seven items have been teed up for the January 30 monthly meeting; that compares to a general number of five items per meeting for his predecessor Tom Wheeler. Last year, the FCC adopted rules for “Connect America Fund Phase II” and authorized investment of up to $2 billion over the next decade to bring fixed broadband service to rural America. At the meeting, Commissioners will vote to finalize bidding procedures for a reverse auction to fund the effort. Also, several parties challenged the order and those must be handled before the auction can proceed. Commissioners will vote on ways to do that. A wind turbine at Falmouth’s wastewater treatment plant may become a cell tower, according to the Cape Cod Times. The structure, one of two wind towers on the property, was ordered to be shut down by a superior court judge over nuisance complaints and zoning violations from area residents. If the giant blades were removed and only the pole remained, it would no longer be classified as a wind turbine, Frank Duffy, the town’s attorney told the Times. By turning it into a cell tower, Duffy said, it could be reclassified under the provisions of the town’s cell tower bylaw. Duffy said this would not only provide better cell service for West Falmouth but it could help aid the town’s public safety communications system. Crown Castle’s priorities for 2018 include being able to meet increasing demand for both macro and small cells; the company has to build approximately 25,000 small cells, according to company CFO Dan Schlanger. The orders, Trump said, will support broadband tower facilities in rural America. “Those towers are going to go up and you’re going to have great, great broadband,” he said to the assembled crowd. He was referring to the findings of the Interagency Task Force on Agriculture and Rural Prosperity, which counts cabinet members and FCC Chairman Ajit Pai among members. Agriculture Secretary Sonny Perdue on Monday presented the findings in a 44 page report. In addition to expediting approval and review timelines for broadband infrastructure buildout, it recommends the government assess existing federal grants and subsidy programs devoted to or used for deploying e-connectivity. Small wireless carriers will need extra time to deploy geo-targeting of Wireless Emergency Alerts (WEA), the Competitive Carriers Association tells the FCC. CCA agrees with large carrier association CTIA that integration of new WEA geo-targeting capabilities into networks and devices will take at least 36 months from the effective date of new rules. Smaller wireless carriers will need an additional 12 to 24 months because they don’t “have the same access to the latest devices on the same timeline as the largest carriers, if at all,” CCA EVP/General Counsel Rebecca Murphy Thompson recently told the agency’s Public Safety and Homeland Security Bureau. Maryland conservative think tank Free State Foundation called out mayors this week who oppose the FCC’s recent vote to roll-back Net Neutrality rules, yet appear to restrict internet use on municipal broadband networks with service terms that prohibit certain types of content. The FCC is free of a $21 million lawsuit from a bankrupt wireless company. A federal appeals court on January 2, agreed with the agency and a prior federal claims court that Alpine PCS took its case to the wrong court. The case began in 1996, when the FCC awarded Alpine PCS two, 10-year Personal Communications Services licenses. The wireless firm bid about $8.9 million for one license and about $17.3 million for the other. Alpine was to pay for the spectrum in installments from December 1996, through September 2006. UPDATE All 50 states chose to join the FirstNet mobile broadband communications network for first responders by the deadline day, December 28. California, Florida, New York and Mississippi announced their decision on that day. New Hampshire reversed course and said it would sign-up as well. Under the FirstNet system, if a governor did not make a decision by the deadline, the state would be treated the same as an “opt-in” state, with AT&T deploying and maintaining the Radio Access Network for the state.